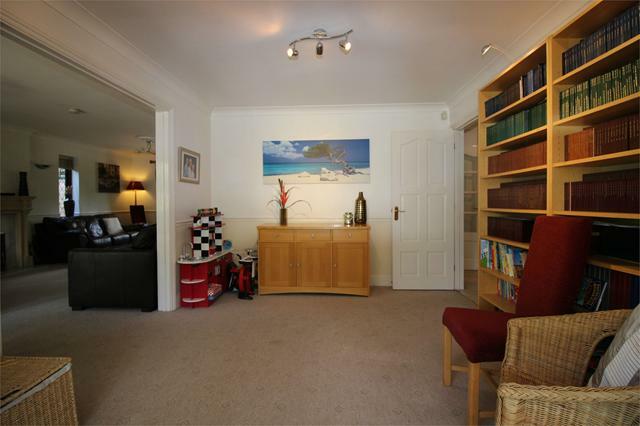 Spacious entrance hall with doors off to the study, cloakroom, kitchen and sitting room. 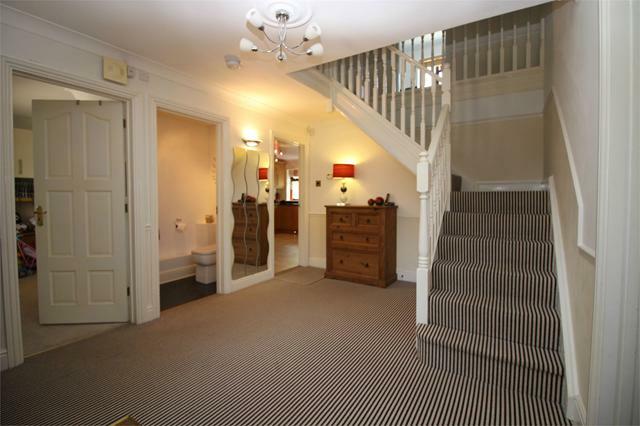 Under stair cupboard, dado rail, coving and ceiling rose, telephone point, smoke alarm, thermostat, under floor heating and stairs leading to first floor. 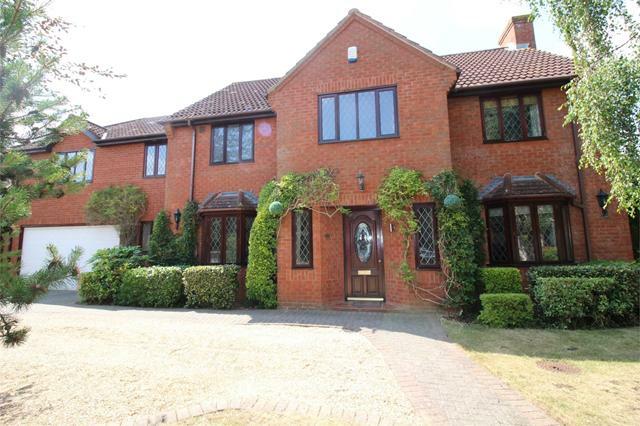 Telephone and internet points, multiple sockets, smoke alarm, window to front aspect and under floor heating. 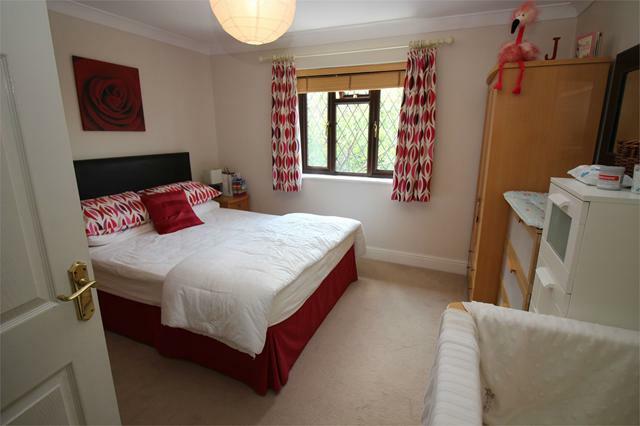 w/c, sink with vanity unit, extractor fan, ceiling spot lights. Under floor heating. 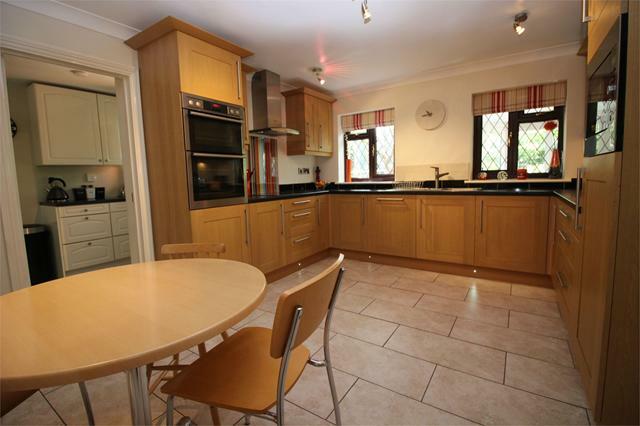 Modern kitchen with extensive range of fitted wall and floor base units to include worktop and plinth lighting. Ample worktop space with stainless steel sink and mixer tap with tiled splash back. A mixture of integrated appliances to include AEG Double oven, AEG Microwave, AEG Halogen four ring hob with Zanussi overhead stainless steel extractor, Bosch dishwasher and Fridge. 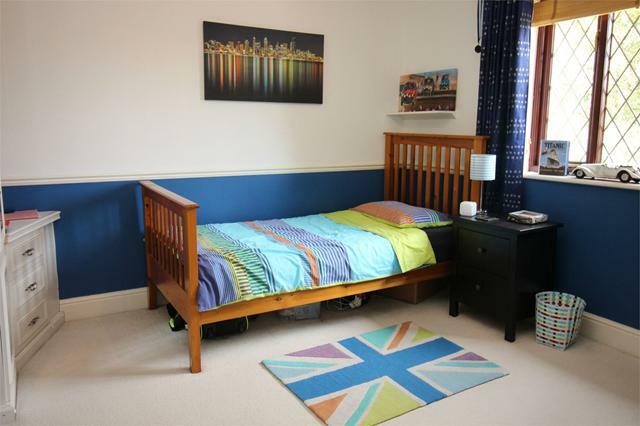 Ample supply of electrical sockets, radiator, spotlights, area for breakfast table and chairs, door to Utility Room. 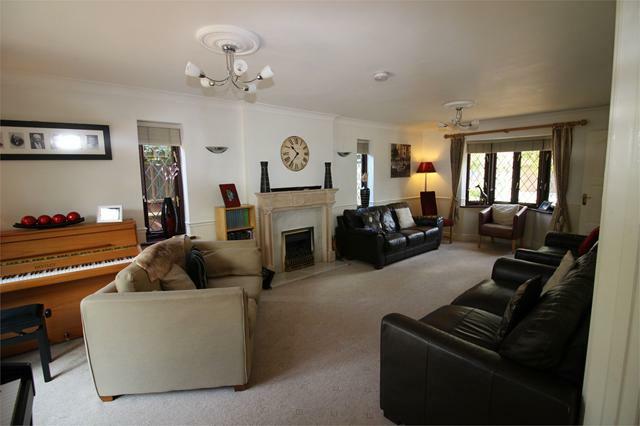 Triple aspect sitting room with coving and ceiling rose with light. Fitted wall lights and dado rail. Gas fire with feature timber fireplace with marble hearth & surround. 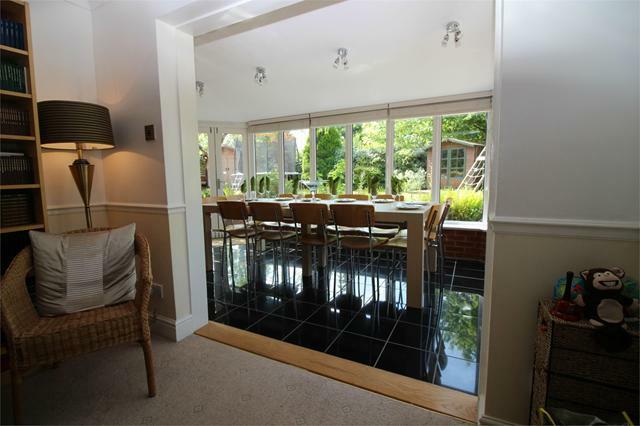 Double doors opening onto garden & patio. Tv point. Under floor heating. 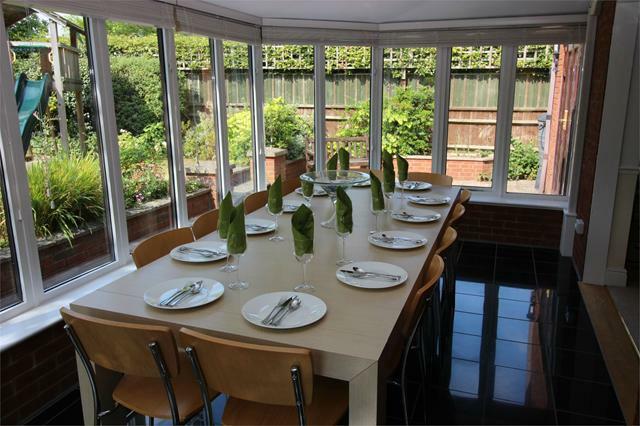 Granite tiled floor to dining room/conservatory with 180 degree views of the garden. French doors opening onto patio area. Spot lights to ceiling. Air conditioning/heating unit. Door to kitchen and sitting room with archway opening onto dining room, coving to ceiling and central spot lights, dado rail. Under floor heating. Fitted with an extensive range of wall and floor base units providing ample worktop space with tiled splash back to stainless steel sink and drainer with up and over mixer tap. Ample electrical sockets, coving and spot lights. 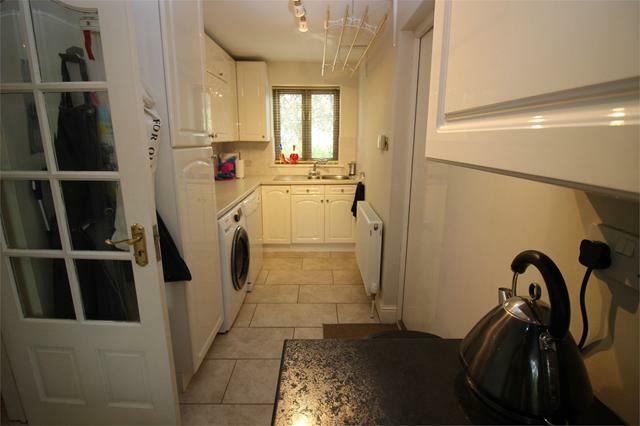 Tiled flooring throughout, plumbing and space for washing machine and dryer. Radiator, uPVC double glazed door to rear garden, door through to garage. Double Garage with electric up & over door. 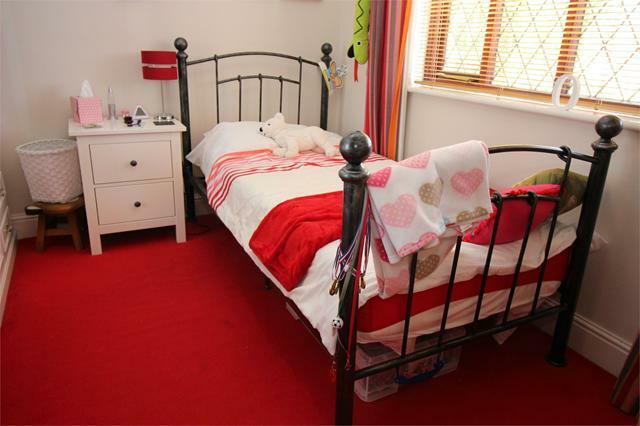 Fitted with shelving, worktop and cupboards there's plenty of storage to be found. Main utilities can be found housed in the garage to include an Alpha GD 24 R. Gas Boiler and main electrical fuse box. 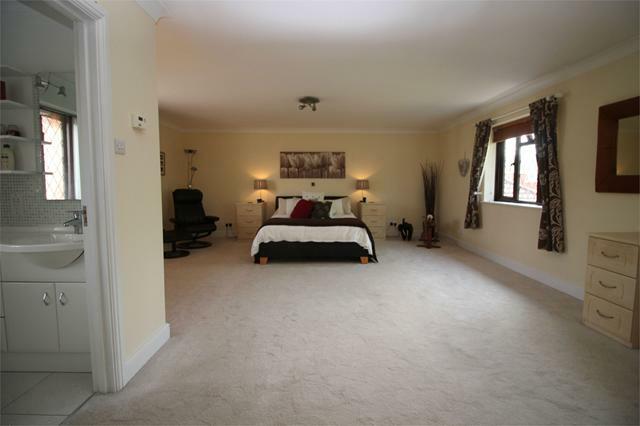 Double Aspect bedroom extensively fitted with built in wardrobes and dressing table. T.V Point, Smoke Alarm and Loft Access. Under floor heating. Modern ensuite shower room with tiled flooring, fitted with his & hers vanity sink unit with his & hers heated illuminated mirrors, tiled splash back surround and under cupboard storage. 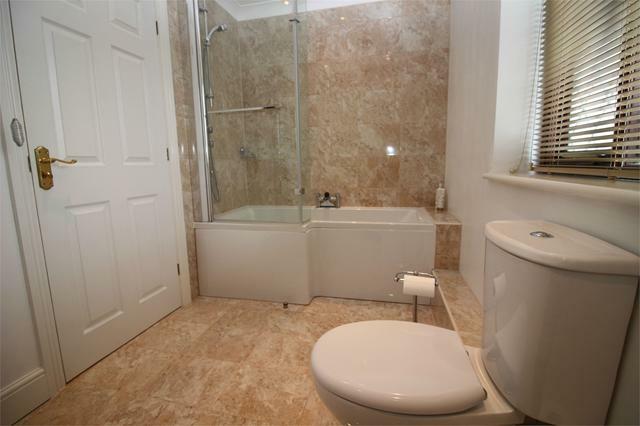 Ensuite further comprises corner shower with mains thermostatic shower and overhead spray, floor standing W/C vanity unit, electric towel rail, shaving point, coving and spotlights to ceiling. Under floor heating. Coving and light to ceiling. Under floor heating. 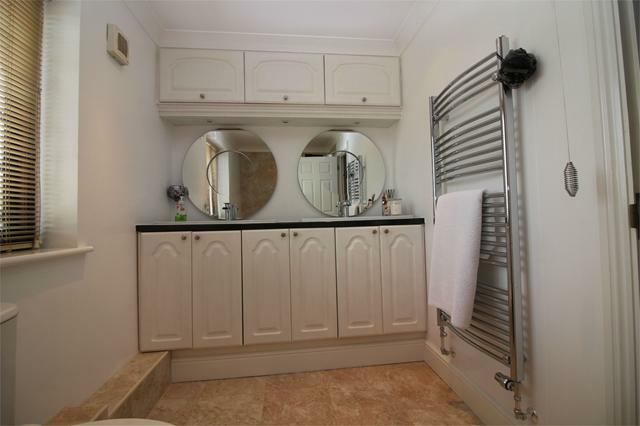 His and hers vanity sink unit with under cupboard storage, bath with mixer taps, tiled surround and glass shower screen, mains thermostatic shower with overhead spray, tiled flooring and heated towel rail, coving and spotlights to ceiling. Under floor heating. Coving and light to ceiling, built in wardrobe and dressing table. Under floor heating. 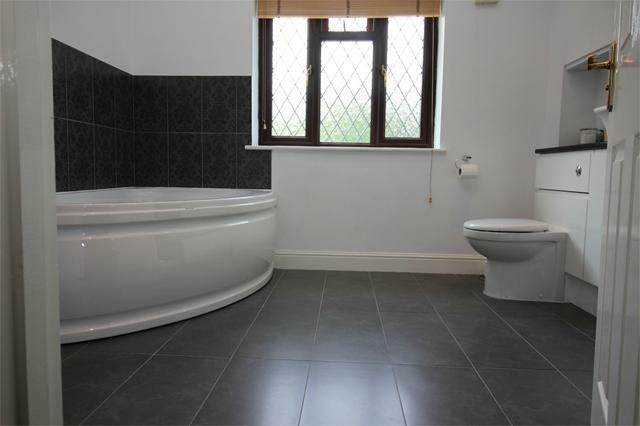 Modern family bathroom with tiled flooring, sink and w/c vanity unit with storage cupboards under, as well as fitted wall units above. Corner bath with mixer taps, tiled surround and rinse head, separate corner shower unit with thermostatic shower and overhead spray. Under floor heating. Coving and light to ceiling, dado rail, built in wardrobe and dressing table. Under floor heating. 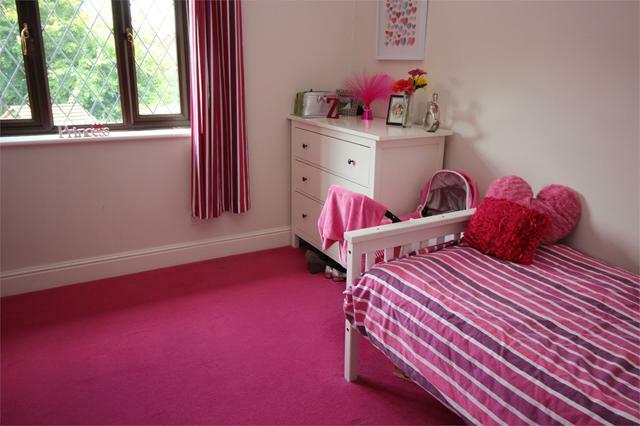 Coving and light to ceiling, built in wardrobe and dressing table. 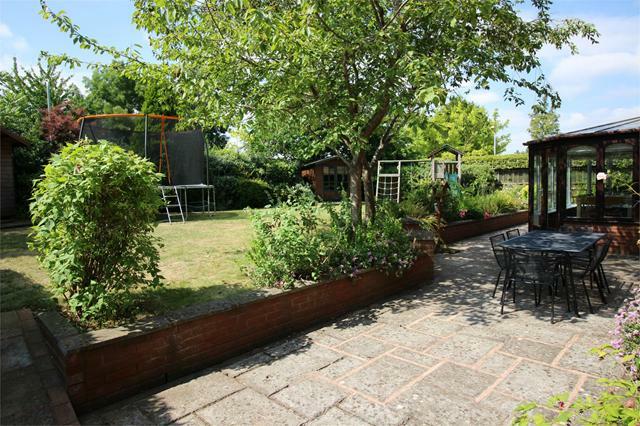 This private garden has been fenced to all sides with area laid to lawn. Summerhouse set on concrete base. 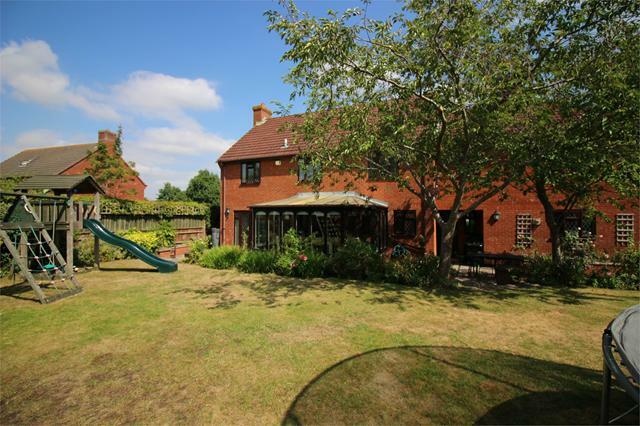 Patio area stretches across rear elevation with steps to lawn & flower beds. Numerous deciduous & evergreen trees. South facing. 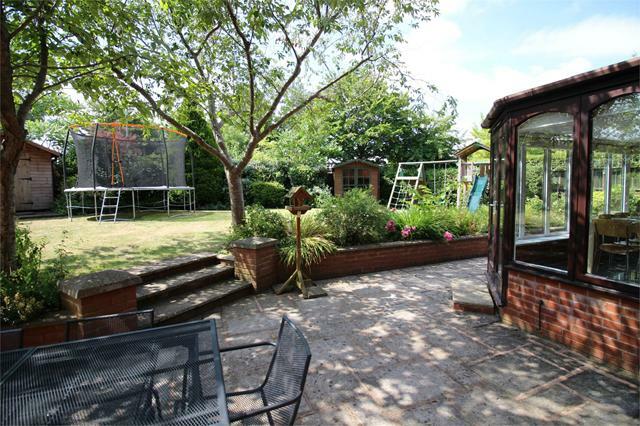 The property is approached over a brick paved and shingle driveway with area of lawn and mature planted trees. Brick paved footpath to front door from road. Mains Gas, Water, Sewage and Electrical supply.